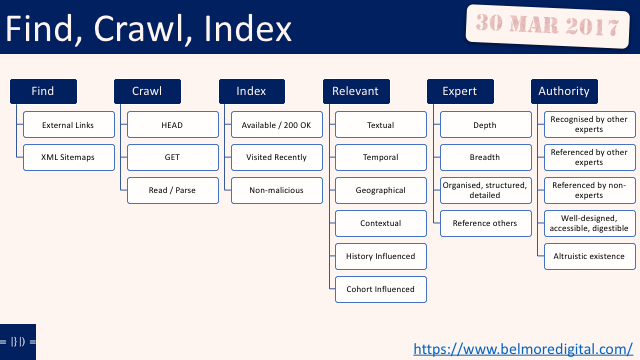 Read about how Google wants to Find Crawl Index content for its users. From Belmore Digital: Organic Digital Marketing. Growth hacking traffic and revenue across SEO, Social Media, CRO and Email.